Fives miles east of Inverness, the windswept moorland of Culloden, saw the last great battle on British soil on April 16, 1746, a turning point in the history of the Scottish nation, when the Jacobite cause was finally defeated. The second Jacobite rebellion had begun on August 19, 1745, when the standard was raised at Glenfinnan on the west coast shortly after Edinburgh had fallen into Jacobite hands, and Bonnie Prince Charlie had started his march on London. The English however, had appointed the well respected Duke of Cumberland to command their forces, and this together with bad weather and lack of funds, forced the Jacobites to retreat north. They ended up at Culloden, where ill fed and exhausted after a pointless night march, they where also hopelessly outnumbered by the English. The open, flat ground of Culloden Moor was also totally unsuitable for the Highlanders style of courageous but undisciplined fighting, which required steep hills and lots of cover to provide the element of surprise, and they were resoundingly defeated. After the battle, in which 1200 highlanders were killed, Bonnie Prince Charlie fled west to the hills and islands, where loyal Highlanders sheltered and protected him. He eventually escaped to France, leaving his erstwhile supporters to their fate and in effect, the end of the clan system. The clans were disarmed, the wearing of tartan forbidden and the clan chiefs became landlords greedy for higher and higher rents. Within a century Highland life had change out of all recognition. Today you can walk freely around the battle site; flags mark the positions of the two armies, and the clan graves are marked by simple headstones. The field of the English, for many years unmarked, is a mass grave for the English troops; and nearby, a stone marks the spot where the Duke of Cumberland is said to have watched the proceedings. Thirty Jacobites were burnt alive outside the old cottage next to the visitor centre; inside, it has been restored to its eighteenth century appearance. The visitor centre itself provides background information through the detailed displays and exhibitions about Culloden, In April on the Saturday closest to the date of the battle, there’s a small commemorative service. The visitor centre has a reference library, and will check for you if you think you have an ancestor who died here. For more information follow the link we have provided below. 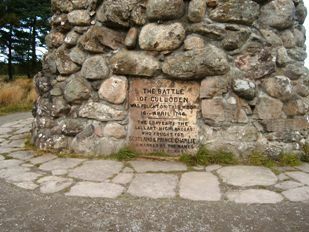 I was told that I have ancestors who have perished in the Battle of Culloden. I come from the Briggs, Stewart’s and the McPherson’s. 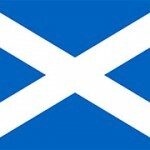 Do I need to find a way to get to Scotland in order to find my family?